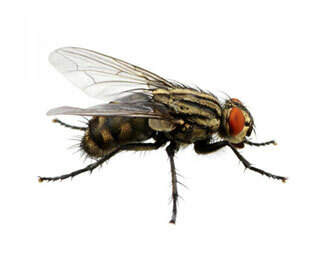 As a nuisance pest, Cluster flies will not damage home. Occasionally, the flies may leave small dark-colored spots of excrement on windows and walls, but they are not known to carry any diseases of medical importance to humans. In addition to the ‘clustering’ on the sunny exterior of buildings in the fall, the flies will gather in large numbers at windows within the home on warm winter days.